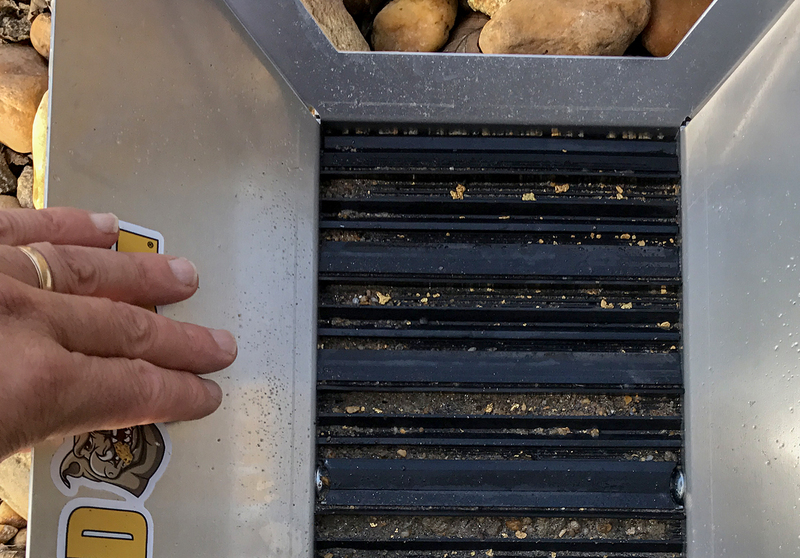 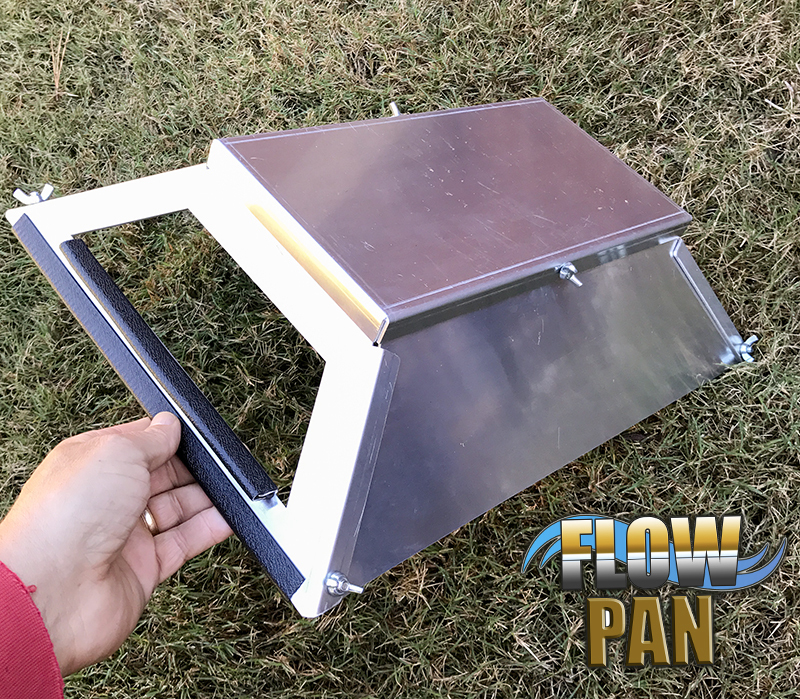 PORTABLE GOLD PAN… with cross flow design. 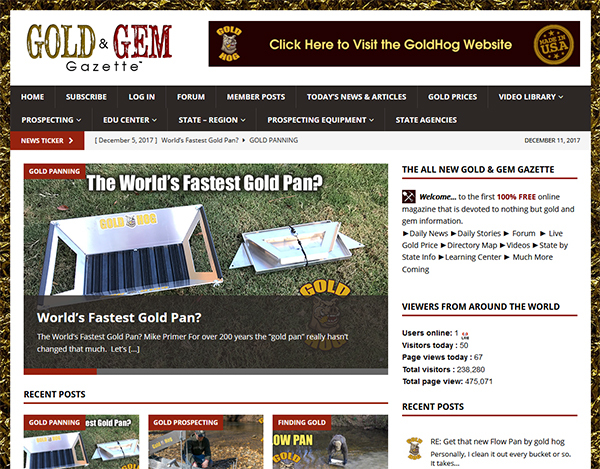 The following design is the copyright © of GoldHog® and is under both copyright and federal patent protection laws. 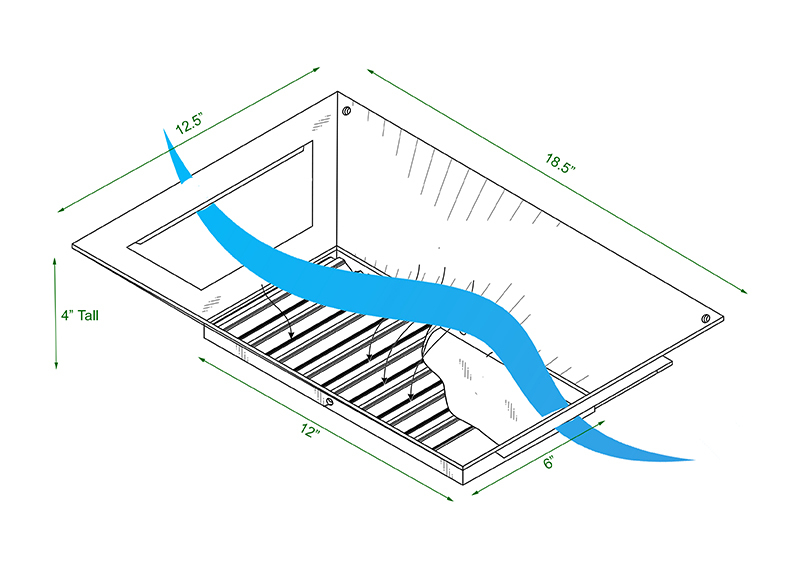 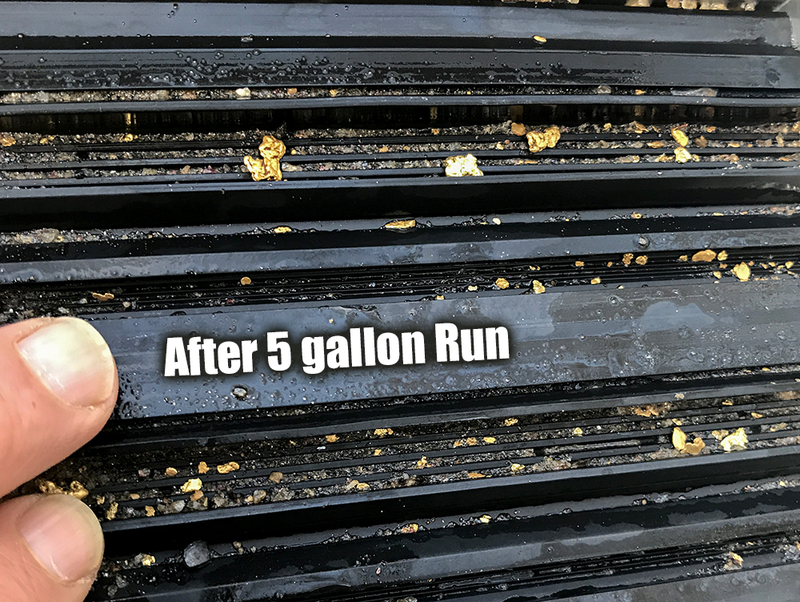 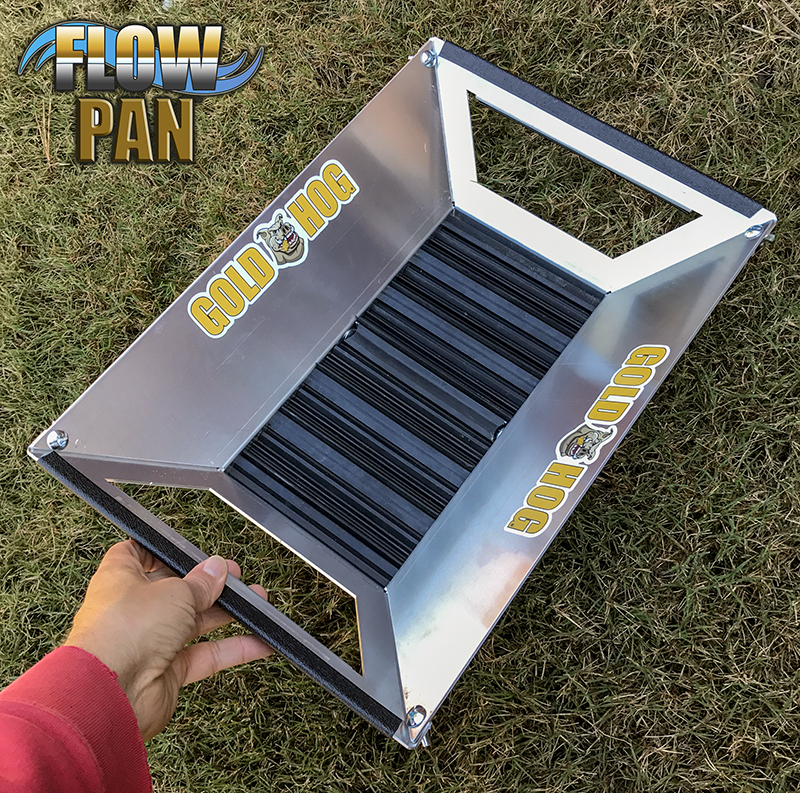 The FLOWPAN weighs in at roughly 3.7 pounds with the mat in place. 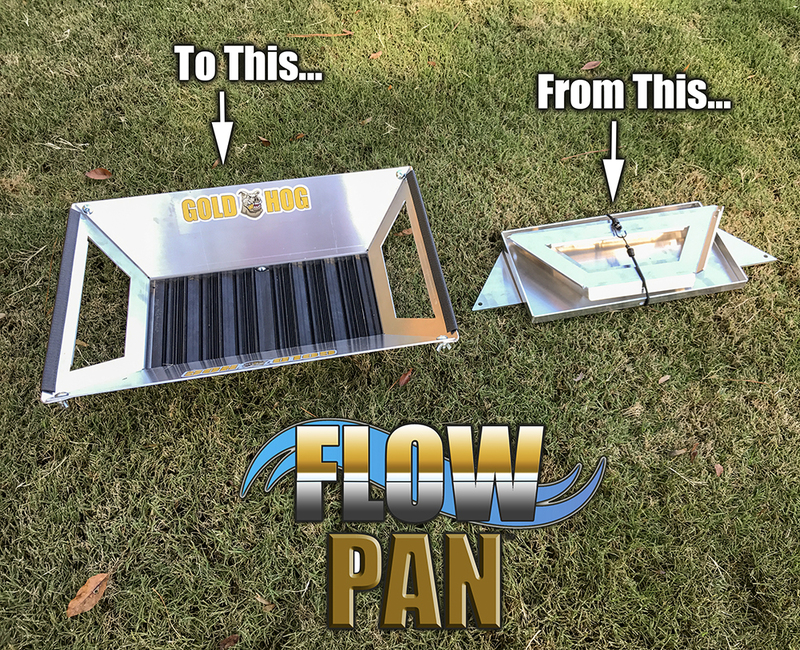 Note: Our patent applies to many shapes, sizes, and materials, of gold pans, focusing on the PASS THROUGH TECHNOLOGY and the assist in exchanging / cleaning material.